As a witness to the ever growing unrest, poverty and violence in San Salvador, Oscar Romero heard and responded to his calling with holiness and unbelievable fortitude. This biography by Roberto Morozzo della Rocca is extremely well researched and informative on the recently beatified and hopefully soon-to-be saint. So much so, that its author was invited as an expert to the consideration of the cause of sainthood for this passionate shepherd and martyr for the faith. The following are quotes taken from this biography that poignantly speak of the soul of the man who will be forever remembered in the heart of the people. 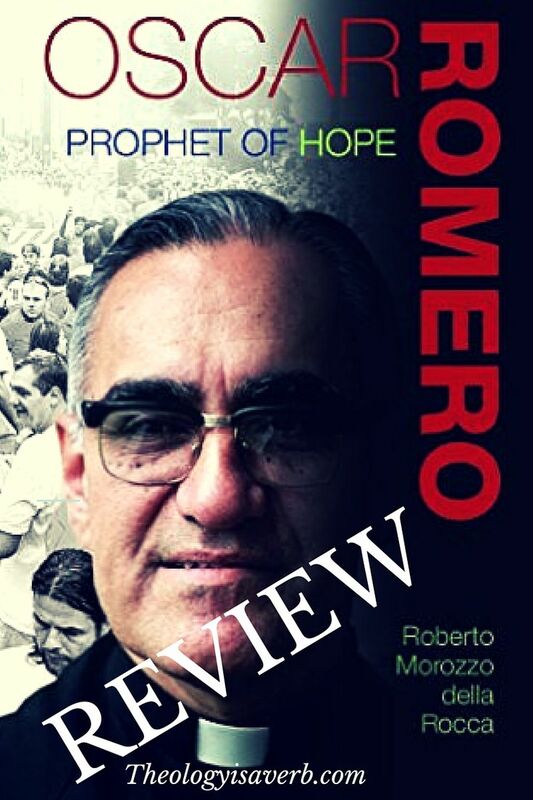 I highly recommend this work as a valuable resource and primer on the life and witness of Blessed Archbishop Oscar Romero. Perhaps it may surprise you but as Morozzo della Rocca affirms- Blessed Oscar Romero was at his core a traditionalist. He proudly wore a cassock, was committed to the Rosary, fasting, examinations of conscience, deep prayer life, supported Opus Dei and had a profound love for the people he served. Still accused by some to be a supporter of socialism, he was ardent in his opposition to the separation of the inherent connection between God and man that Communism and Marxism advocated.. Finally, as della Roca observes, Blessed Oscar Romero could have fled but didn’t. Instead, Romero remained “faithful to God and the mission” in the face of certain persecution and death. Thanks for posting this, it looks very interesting! Thanks Lexie! It was really interesting to learn more about Romero. I enjoyed your review Elizabeth. It is a book I now want to read. Thank you. Always Michael! Yes, it is really well done. Love this post. I enjoyed the graphics that you incorporated. Is this part of a series? Thank you for sharing your thoughts! Oscar Romero is one of my favorite saints, and this book is truly fantastic in its depth and insight into Romero’s spirituality and pastoral decisions. It also highlights how he continues to be a “martyr” of public opinion even today. But it is Romero’s shepherd’s heart that most deeply inspires me. This is a great addition to my “Romero” reads! Yes, so true. A good lesson for all of us that Church politics look so petty especially from the POV of history. Somehow my comments about what a great review you provided got cut out of my post above… Thank you for quoting him and providing such great insights into the “big themes” of Romero’s life that were so important to him.